1967 rue Saint-Jacques. Saint-Henri district. Canonical Erection: July 2, 1867. The territory of this parish has been detached from Notre-Dame-de-Montréal. The city of Saint-Henri was incorporated December 28, 1876. 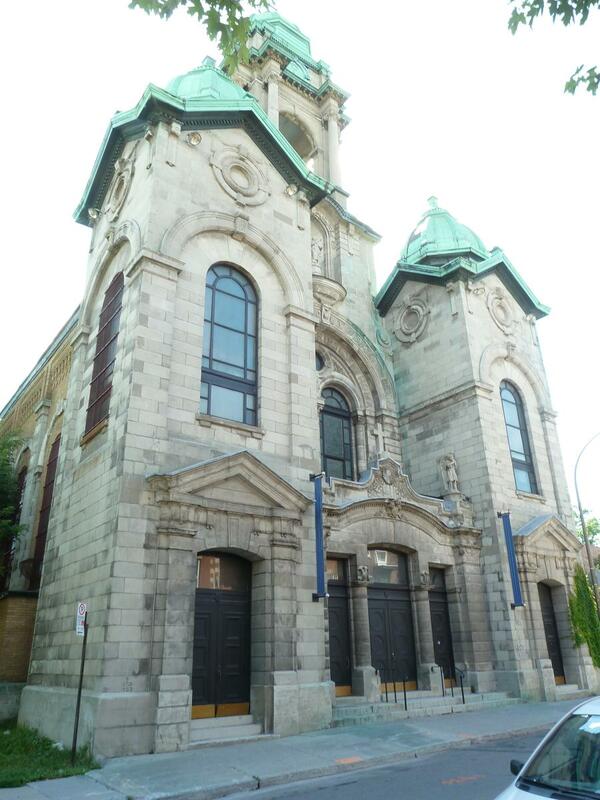 The parish has long been called "Saint-Henri-des-Tanneries". This name of tanneries comes from the fact that at the beginning of this parish, tanneries were opened by Messrs. Lenoir dit Rolland. During its canonical erection, the parish included the villages of Délisle, Saint-Augustin, Ferme Saint-Gabriel, Saint-Pierre River and Saint-Henri-de-la-Côte-Saint-Paul, where built the church: hence the name of Saint-Henri, given to the parish. Pop. 10.675.